How quickly do organisations see a return on their simulator investment? Download this e-book to find out. Training new operators can be challenging — and the cost of training can be substantial. However, organizations that deploy simulators for training are seeing their savings add up rapidly, as well as long-term financial and safety benefits ... all much sooner than you might expect. Download this free e-book — the first in our 4-part series Your Complete Guide to Construction Equipment Training Simulators — to find out how quickly you can expect a return on your simulator investment. 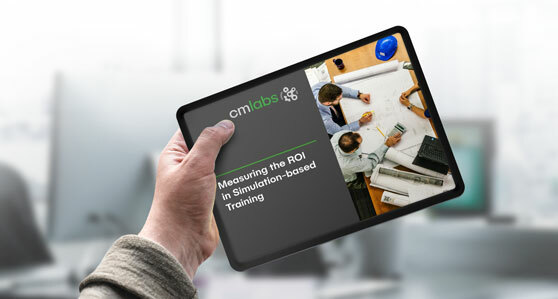 Download now: "Measuring the ROI in Simulation-based Training"